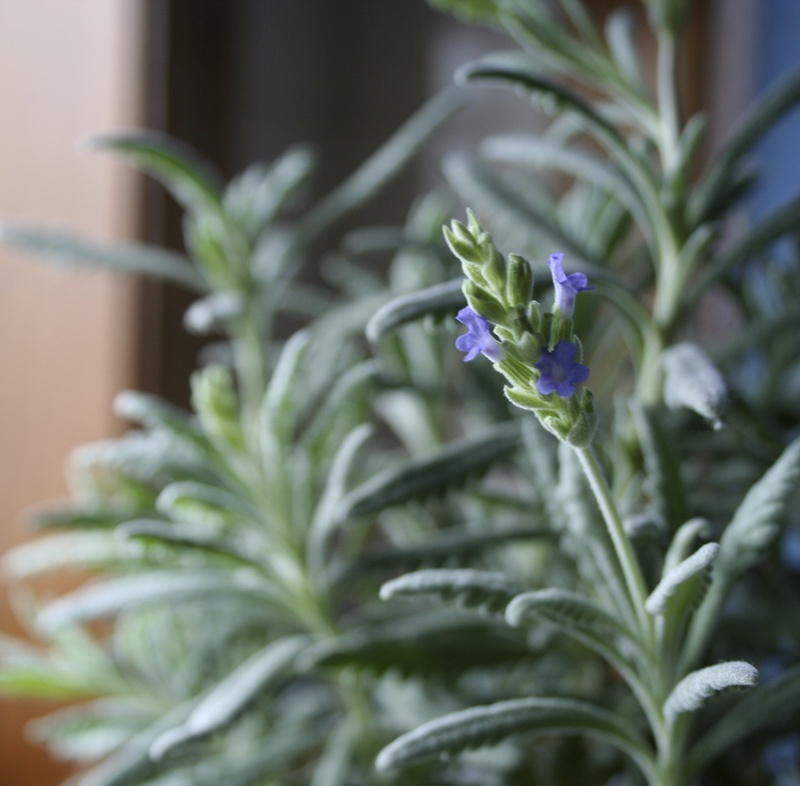 Lavender isn’t really hardy to Minnesota, but this plant decided to bloom indoors in December. I was really hoping this would happen when I brought in a French lavender (Lanvendula dentata) plant from outside in November. Because of the extended Indian summer we had — which now seems decades ago due to the relentless snow of the past week — this plant survived longer than expected. But, as happens with lavender, which is more suited to USDA Zone 9 than zone 4, it did not bloom. So, I brought it in, changed the pot, gave it a small dose of fish emulsion, and put it in the sunniest spot I have, on the counter behind my kitchen sink. It is no doubt getting considerably less sun than a heat lover like lavender would prefer, but I’m hoping to nurse it through the winter and then move the plant outdoors again. According to this herb site, French lavender does better indoors than other lavenders. It doesn’t like a lot of water so I will let it dry out between waterings. It also likes lime in its soil, so I may add some crushed egg shells from time to time. I love the scent of lavender, which is said to have calming properties. Just run your hand over the foliage and sniff. Instant zen. I brought in my French lavender plant, put it in a sunny west window and it’s blooming now, too. I’ve also had good luck with overwintering rosemary indoors in a sunny location. I think letting both lavender and rosemary dry out a bit between waterings is important to survival.